Turmeric for MS. Is this herb a good thing to take when you have multiple sclerosis? or not? I recently got a question asking about this herb and decided to write about it here. 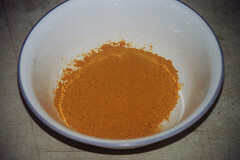 Someone just emailed me an article on turmeric and how good it is for MS...would you have anything "official" on this? If you look up turmeric as an herbal remedy, you will see that it is an anti-inflammatory. Because multiple sclerosis is said to be caused by inflammation of the myelin sheath, this is the reason turmeric is recommended for treating MS. 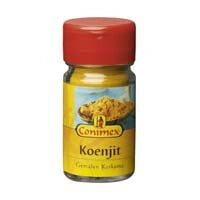 I have read several articles that suggest using turmeric to treat MS. One from a very well known doctor, Dr. Weil. He is a pretty good authority when it comes to health related treatments for many diseases and conditions. His article cites research "published in the June 15, 2002 issue of the Journal of Immunology suggest that turmeric may have more far-reaching effects for MS patients." I did a little research and found the abstract that shows the results of the study. The results from the study "suggest that curcumin inhibits the severity and duration of clinical paralysis in active EAE." If you'd like to read the paper written about the study, check here for the June 15, 2002 issue of the Journal of Immunology - vol. 168 no. 12 6506-6513, (will open a new window). It is difficult reading, but if you like that sort of thing, go for it. Health advocates, like Dr. Weil, have used this article as the reason for using turmeric, as well as ginger – another anti-inflammatory, to treat MS. The mice with EAE were injected three times a week with 50 and 100 mcg doses of curcumin – the compound found in turmeric. These mice had very few symptoms after treatment. The control group of mice that didn't get the injections eventually developed severe symptoms of the disease. Another fact brought up by the researchers, was that in India and China, MS is very rare. Most likely because their diets contain yellow spices similar to curcumin in amounts about the same as those given to the mice. For this reason, it may be a good thing to include turmeric in your diet as well. *Click here to read Dr. Weil's article, (will open a new window). So there may be something to this - turmeric for MS. The original study was done in 2002, however, so I'm not sure what the scientists and researchers are waiting for. I'll have to do a little more research to see if I can find more recent studies about this herb. If there are none, taking turmeric or eating like the Indians and Chinese, may actually help MSers to beat their MS. Who knows? Go from Turmeric for MS back to Alternative Treatments for Multiple Sclerosis.